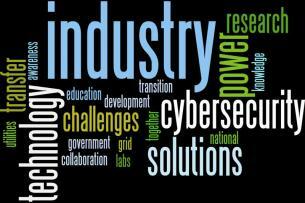 Looking for info about industry workshops after 2014? Visit http://cred-c.org/industry/workshop for more information. The Annual Industry Workshop is by invitation only and focuses on the technology development, technology transition, education, and awareness that are essential for developing a resilient power grid. The workshop aims to continue the ongoing dialogue among industry, utilities, government, and TCIPG researchers that leverages key strengths of each community and brings us closer to common cybersecurity goals. Invited speakers and panelists from industry, national labs, government agencies, and TCIPG partner institutions will discuss leading research results and engage in a dialogue to address key challenges and problems. Workshop topics may focus on architectures, components, and best practices for resilient power grid systems. This includes, but is not limited to, research and development of security mechanisms, architecture design and verification, component design and validation, technology development and transition, standards, and interoperability considerations. Want to join? Members of our Industry Interaction Board are among those invited. Others should email invite requests to csoliday [at] illinois [dot] edu (Cheri Soliday) along with contact information and a brief statement of interest in this work. For future industry workshops, visit http://cred-c.org/industry/workshop.